On Monday, November 15th 2010, Austin hip hop crew Unspoken Levels is releasing a brand new album called Welcome to Where You Are. It's definitely the group's best sounding record to date and features all sorts of guest appearances like; Gift of Gab (Blackalicious), Zumbi (Zion I), Raashan Ahmad (Crown City Rockers), Braille (Lightheaded), Manchild (Mars Ill), Grace Park (The Blue Hit), and Alesia Lani. The new album will be available only at: unspokenlevels.com. 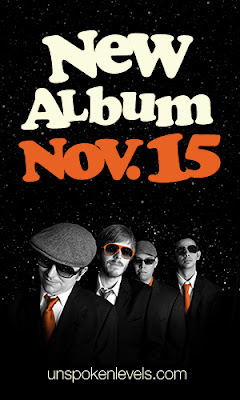 To celebrate the release of the new album on 11.15.2010, Unspoken Levels is going to throw a free live show online. Unspoken Levels will be performing via live stream all new songs from the upcoming album, throw in a freestyle session, and also have a chat service up where you can say what's up. Help spread the word and invite some peeps!